Oaktown, as Oakland hipsters like to call their beloved city, differs in many ways from its more famous neighbor across the San Francisco Bay. Whereas San Francisco had a storied past for nearly seventy-five years before Oakland became incorporated in 1852, much of what is now referred to as the East Bay was a private ranch owned by Spaniard Luis Peralta. The portion of the ranch that is now Oakland was called Encinal, Spanish for "oak grove", because of the large oak forest that once covered the area and for which Oakland was eventually named. In the years following the 1906 San Francisco earthquake, this sleepy town saw its population nearly triple and people soon discovered that the weather is much more temperate than San Francisco’s foggy climate. With a population today of nearly 420,000, Oakland is the third largest city in the Bay Area and has an extremely diverse population, both culturally and ethnically. Oakland is, first and foremost, a city of very distinct neighborhoods. 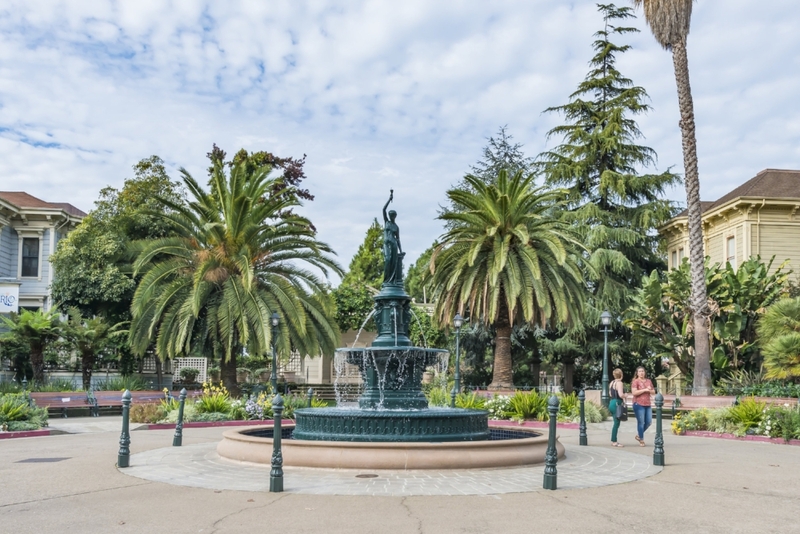 West Oakland is becoming increasingly gentrified, and the highly desirable Rockridge, Lake Merritt/Grand Lake and Piedmont Avenue neighborhoods are booming with new restaurants and shopping. Oakland, long in the shadow of San Francisco’s restaurant scene, is arguably overtaking her big sister as a foodie mecca. And economically, Oakland is attracting businesses, old and new, that are flocking to the city for its relative affordability. Downtown Oakland is experiencing a true renaissance, with restaurants, bars and clubs that are hopping on any given night of the week. Oakland is a vibrant, young, and wonderfully tough city, full of interesting people and eclectic neighborhoods and communities. Come visit! Patty Rogers, Broker Associate - Abio Properties, is known for finding and selling unique homes in the East Bay that have a "Modicum of Charm". For next level real estate leadership, connect with Patty for your home listing or purchase. Newer PostSOLD! Oakland Loft Style Firehouse Conversion! Older PostPrepare your Condo for Sale...How To!